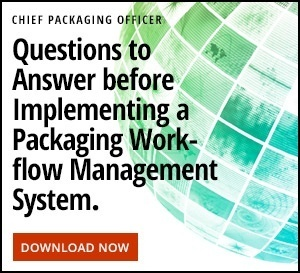 Not so long ago, product packaging was largely an afterthought for most manufacturers, but as our conversations with customers illustrate, the most successful companies today are those that rank packaging innovations among their top business priorities. One such innovation? Using a ‘digital twin’ to inform stakeholders about a product before it exists. Pressure is mounting on manufacturers to inform their supply chain partners, legal departments, marketing teams, regulatory bodies, and other stakeholders about a product literally before it exists. Consider a pharmaceutical company working to bring a new treatment into its product pipeline. While the company designs the drug and pursues FDA approval and patents, it must simultaneously create the corresponding package artwork and insert leaflet. Why? Because the FDA is demanding to know what the product package and leaflet are going to say. Or the sales team wants to go into a retailer and confidently show what the product looks like and how it feels — all before it even exists. 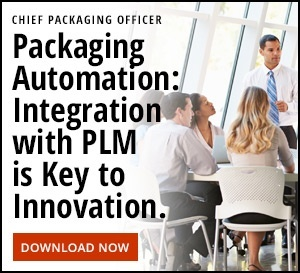 To meet these demands, manufacturers are increasingly leveraging packaging innovations such as a “digital twin” of a product before the real product exists. In other words, they create virtual space in a web browser and other digital environments in which they can see and “feel” the product long before it’s manufactured. Having a “digital twin” eliminates surprises in both the manufacturing and packaging of the product, because it allows all stakeholders to see, feel, understand, and get comfortable with the product in a digital environment before it makes its way to the factory. Marr, Bernard. “What is Digital Twin Technology and Why is it so Important?” Retrieved from: https://www.forbes.com/sites/bernardmarr/2017/03/06/what-is-digital-twin-technology-and-why-is-it-so-important/#608fc9d82e2a (Visited 7/6/17). Previous post Which Brands are Committing to Sustainable Packaging?